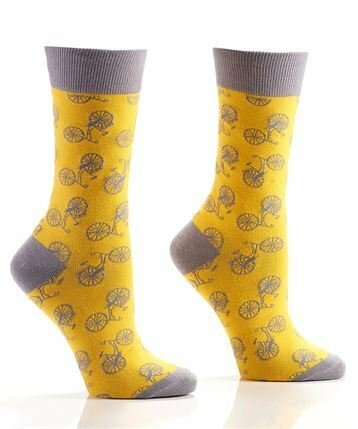 Women's crew sock with bicycle design. Mustard yellow base with black toe and heel. Compact Cotton. Reinforced deep pocket heel and toe. Fits sizes 6-10.